I am not a big beauty fanatic, if you read the Procrastinating Beauty Blogger Tag I done you will be well aware of exactly how lazy I am with regards to my beauty (or lack of) regime. I do suffer a lot with bad skin on and around my nose and I am forever changing my moisturiser/face wash/foundation to try to eliminate that nasty dry skin look ewww…. Also to top that off, yes I was dealt a dodgy blow, I have oily hair! Really oily hair as in it looks like it hasn’t been washed for days less than 24 hours after washing. 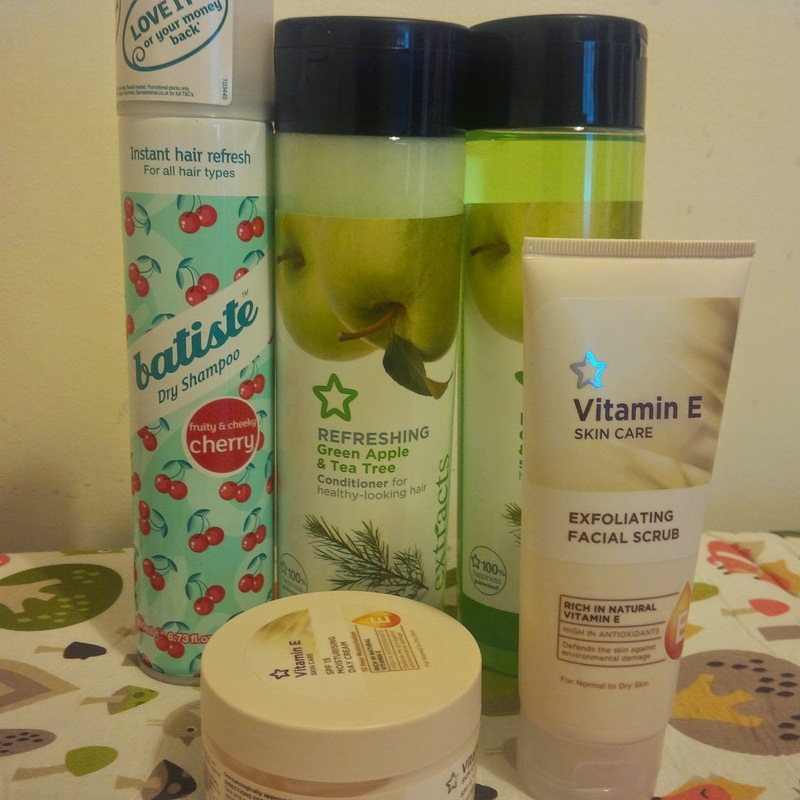 But for a while now I have been using and loving Superdrugs own brand skincare and haircare ranges. They really seem to be agreeing with me especially my hair. And even better they have been on offer! Whoop, I lurve a good bargain who doesn’t! I managed to get all this for under £9! I love this shop for a good offer and seeing as it’s mainly their own products I use it’s even better for me. This was a cheap visit for me I usually come out at least £20 worse off! What do you think of Superdrugs own brand ranges? Which ones have you/do you use would love some recommendations? Previous Olivia is Growing Up! Sounds like a great haul and if the products agree with you, you're onto a winner.